The founder’s farsighted entrepreneurship and his enormous aptitude for developing innovative ideas were the assets that enabled the company to rapidly grow becoming in just a few years an industrial reality in the foreground, and later to become the world market leader. 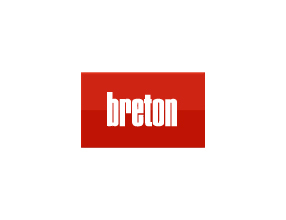 In 2012 Breton replaced a legacy PDM with Aras Innovator® and a full fledged PLM implementation. In a short time Aras became the infrastructure supporting most company processes, and the central repository of product and order documents. Projects at Breton are defined thru modern CAD-CAE technologies, integrated with Aras Innovator® to ensure the required implementation speed.